Naturally puts the rider into a comfortable position. 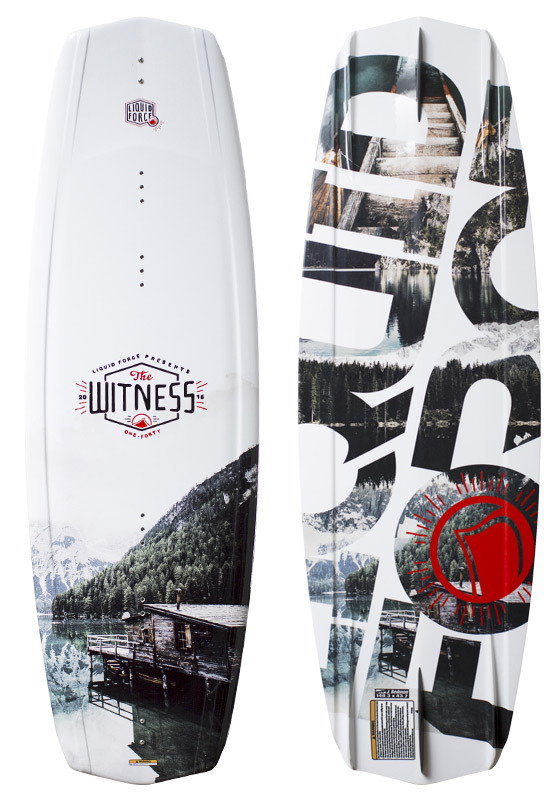 Back by popular demand, the WITNESS returns to our boat board lineup in 2016. With an excellent flow and feel, it will help you continue to progress. 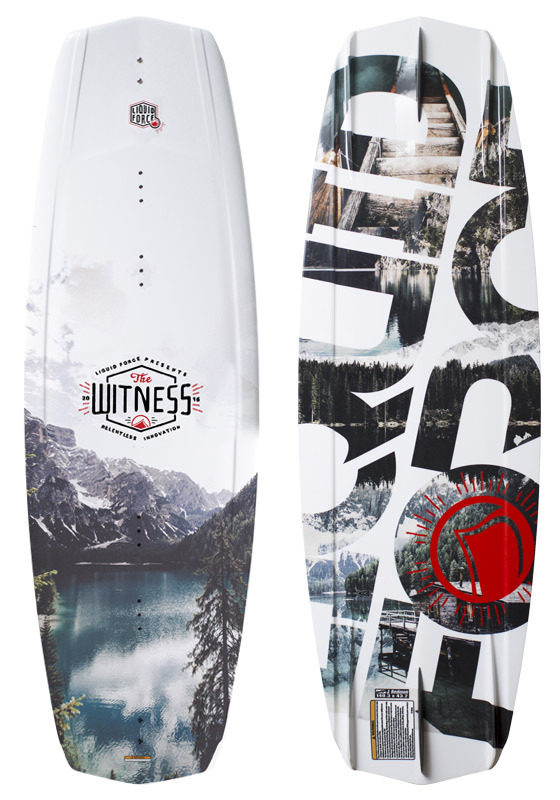 This board naturally puts the rider into a comfortably centered, yet tail heavy position. This position helps riders used to a continuous rocker board step into the world of 3 Stage boards without feeling like the ride is too aggressive or twitchy. 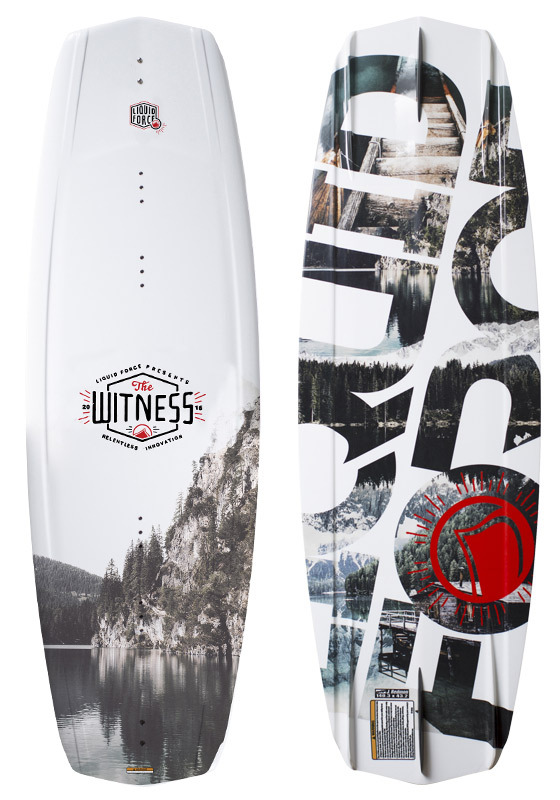 If you want a board with unlimited potential to help you reach higher levels, strap into a WITNESS and let the good times roll! 3-Stage Hybrid Rocker – Straighter center curve for solid edging and speed – Added kick at ends for steeper arc off wake. Double Concave V-Tail – Increased acceleration and pop while maintaining soft landings. PU Core – LF’s PU Cores are compression molded to the highest standards to provide a board that is lightweight and responsive under your feet.